I recently indulged in the Cult Nails $5 sale and Scandalous was one of the shades I purchased. It is such a bright shade. I described it to my mother as electric coral flamingo. The polish is a Jelly finish so there is visible nail line but depending on the amount of layers you use the noticeability of nail line varies. 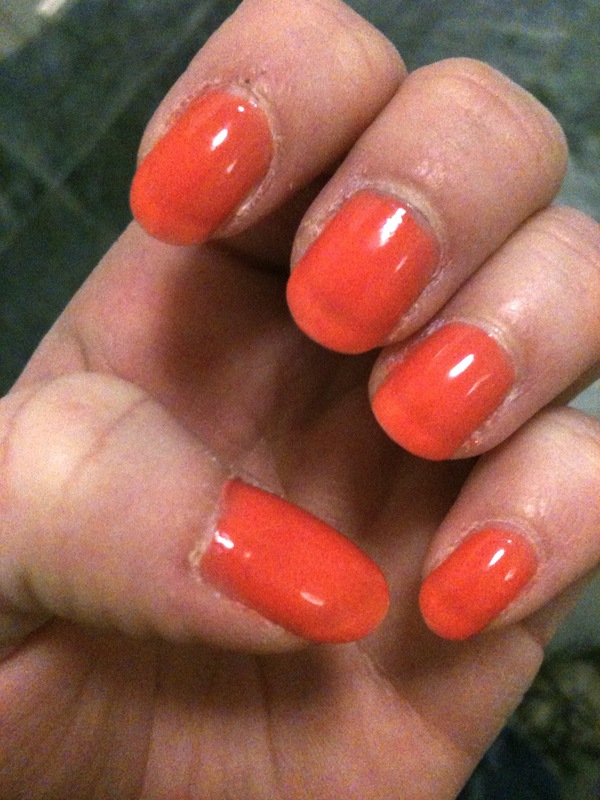 The strange thing about this polish is how much it changes depending on the light your in. Sometimes it's quite peach other times very orange, and others more pinky. The formula on this is pretty good. 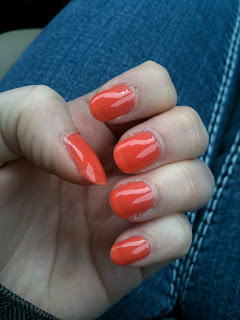 I used four coats as I prefer a more opaque look but you could use less. I found it needed at least two though because otherwise my nails just looked yellow and unhealthy. 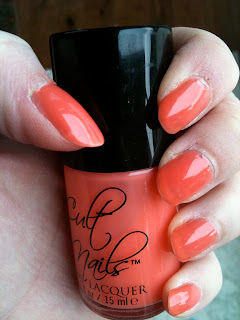 It has lasted very well as do most of the Cult Nails polishes do. However, I just don't like the colour on me. No fault really of the polish, it's just too bright and warm for me. 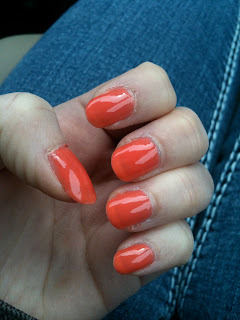 Overall, a good but bright jelly polish. Needs at least two to three coats to take away yellowness but does go away. Excellent lasting ability. Would I Buy It Again? No. 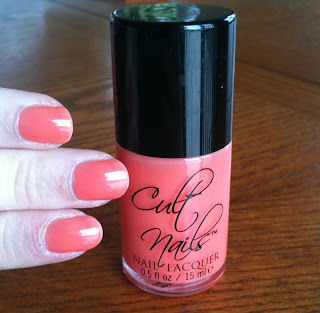 I like the formula but the colour just isn't for me. You can also try it with a one coat white polish beneath it to take care of the visible nail line. Or alternately try a one coat black to deepen the shade a bit. That's an excellent suggestion, thank-you! Ohh I don't like visible nail line at all and 4 coats is far too much. It's a nice colour but it's not worth the price.